She's Strong, She's smart, and she's incredibly brave. 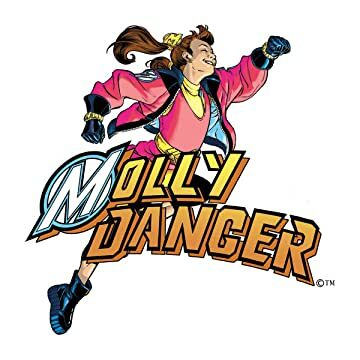 She's the protector of Coopersville, the Princess of Finesse, the petite powerhouse known only as Molly Danger! 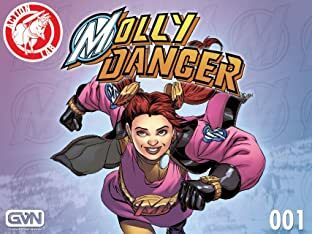 She's the hero you've been waiting for! 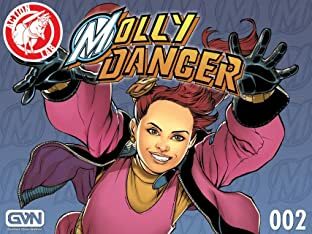 Eternally child-like and inhumanly strong, Molly Danger has protected the citizens of the once sleepy town of Coopersville, New York for the past 20 years from the terror of the sinister Supermechs. 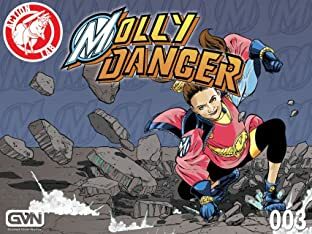 But what secrets from her past threaten to destroy everything she holds dear when new D.A.R.T. recruit Austin Briggs becomes her pilot? 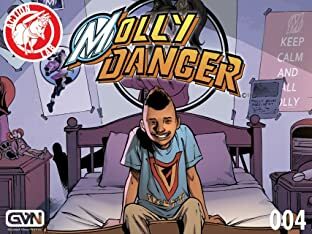 Find out in the exciting first chapter of this brand new creator owned series written and drawn by Inkpot award winner Jamal Igle (Supergirl, KISS, G.I. Joe), with inks by Juan Castro and colors by Romulo Fajardo Jr.